Someone has Spider-Man in their crosshairs, and the only person in the Marvel Universe who can save him is...Peter Parkers sister?! 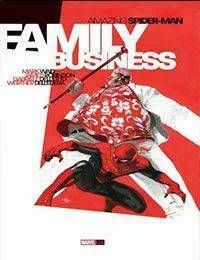 As the web-slinger meets family he never knew, will she end up becoming his greatest ally, or the one who damns him? And what does the Kingpin of Crime have to do with it? Amazing Spider-Man: Who Am I? The Amazing Spider-Man: Youre Hired!